Alsey (population 246) is located in lower-western Illinois about 12 miles (as the crow flies) southwest of Jacksonville. Illinois Route 106 is the main roadway though Alsey. The At & St Railroad also winds its way through this south-central Scott County village. Branches of the Big Sandy Creek flow to the north side of town. The history of Alsey and Alsey High School are in need of research from a local fan. Our estimation is that Alsey High School was probably established in some form by the late 1800s. We know that Alsey High served the town and the surrounding area into the late 1940s. 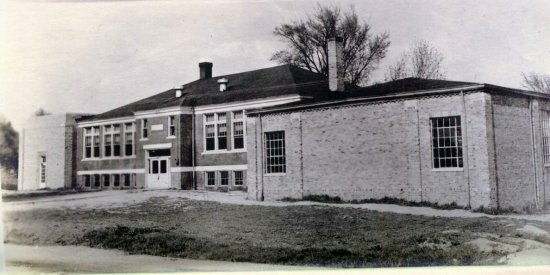 We believe the year was 1949 that the residents of Alsey agreed to close their high school in favor of sending their children to neaby Winchester for their educational needs. Confirmation of this information is needed. The Alsey High School building is still standing. Gary Palmer tells us that the section of the building on the left has a tavern in the basement. The main section of the building is used as a community center for the town of Alsey. The gymnasium, located on the far right of the photo, is still used for baskeball games. 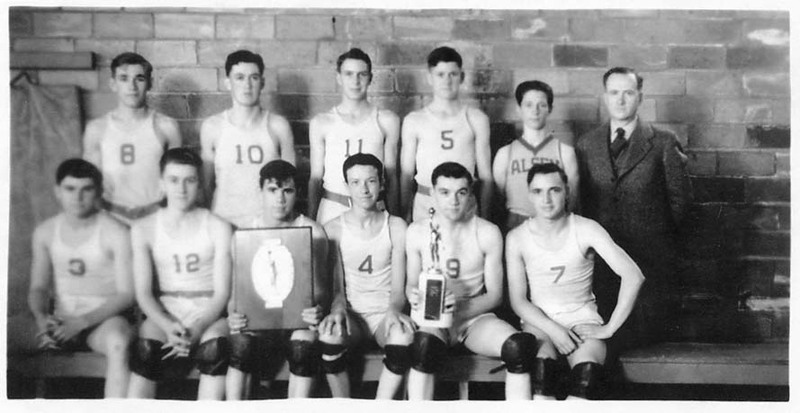 In our research of the IHSA website (www.ihsa.org) we are certain that Alsey High competed in boys basketball. We are very confident that baseball and track were offered as well. School team nickname, colors, fight song, team records, and coach's names are all items being sought. Four District Championships were the AHS basketball program's hi-lites. Coach John Robinson led the AHS squads to three of those titles. 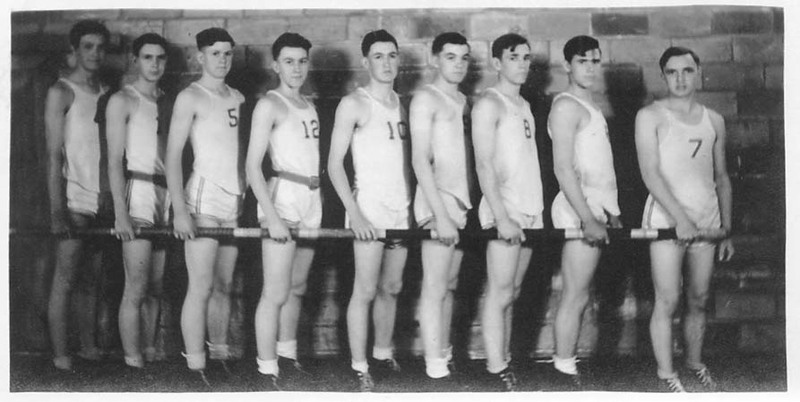 The team of 1941-42 brought home a 5th place finish from the Tri-County Track & Field Meet. 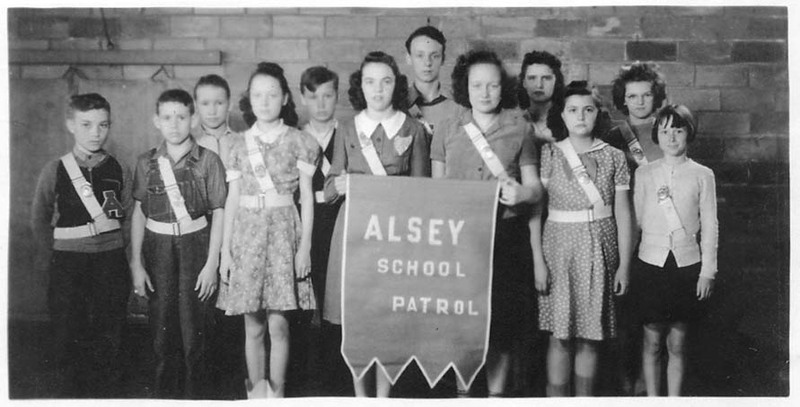 As the photo to the right of the Alsey Grade School "Patrol" team of 1942 shows, there were a lot of activities offered at Alsey schools. We have identified Jean Palmer Coleman standing in the front row of the photo standing to the left of the banner. We are confident were many more activities offered at the school. Dances, clubs, and activities such as speech and band may also have been offered.